James Rodriguez is a Colombian footballer born in 1991 in Cucuta, Colombia. His positions are winger and midfielder. 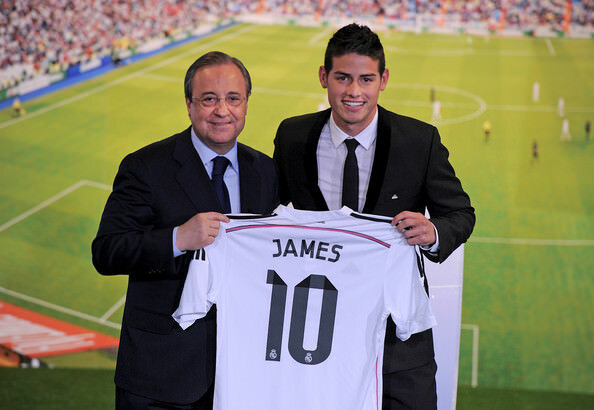 Rodriguez plays for Real Madrid as well as the Colombian National Field. In 2011, he was the captain of the U-20 team in the FIFA U-20 World Cup. He was also chosen to player for Colombia in the 2014 FIFA World Cup. Rodriguez won the Golden Boot for being the top goal scorer in the tournament. People magazine’s Spanish edition names Rodriguez as The World’s Sexiest Man. His wife says his personality is what makes him so alluring, not necessarily his boyish good looks.